Gives you something to work for? When I get to the end of the Dubai mission, the Bond theme does not play as it does on the wii version or in videos I've seen from Reloaded. Is this the case for everyone? EDIT: Okay, it's working now for some reason. Back to the fun! Edited by Iroquois, 05 November 2011 - 02:58 PM. I had a similar experience trying to find the game at Best Buy. It wasn't even on the New Release section - just a shelf in the back of the store (which you had to get to by walking through the game section). I've played the Wii version so I'm curious to see how much of a graphical improvement there is with the Xbox 360 version. I Found It To Be Quite Cool Also ! Any chance you could get a download link? 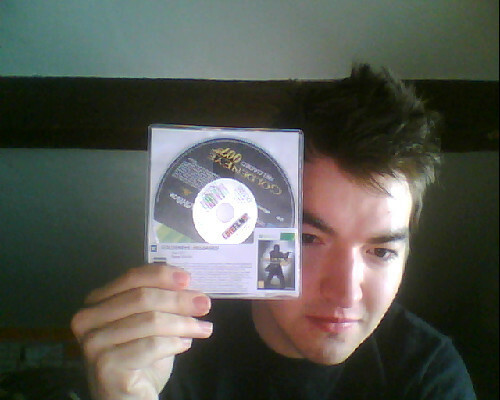 Unfortunately I got this with Uncharted 3, and it rather suffers by comparison. STILL waiting for Lovefilm to send my copy out. Their service has been awful ever since Amazon took over. It was funny, I went in last Tuesday to get Reloaded after work, and I asked the sales guy if anyone else came in to buy it...he's like "you're the only one." HAHA. Still an excellent game, I do like it better than the wii version, so if anyone has a ps3, my screenname is occhile007. I'll probably get it tomorrow. Anyone else getting a Network Error whenever they try to join a public match? Yes. That happens to me as well. Sometimes when I try to join a Golden Gun match it does that so I jump over to classic combat but sometimes it is just the opposite. I don't understand it and it is quite frustrating. Can anyone give me a little help? I just started playing the game and I'm at the part in the beginning where Bond hops onto a motorcycle and chases the plane. My problem is I keep dying before I even figure out what I'm supposed to be doing. I tried shooting the plane and I tried, unsuccessfully, to steer to the side of the plane. Any help would be appreciated. There's some guys on bikes to your right- shoot 'em! Loving the campaign! Although, 007 Mode isn't that challenging up to now. I youtube'd the ending of Reloaded and it just works so much better than the Wii version. The blocky characters in the latter really made for an awkward moment. In Reloaded, it's a relatively satisfying conclusion. Glad you're liking it Harkers! 007 mode or 007 classic? Losing that regenerating health bar is killer for me. I haven't tried 007 Classic, yet. I'm playing it through on 007. I really don't find it that frustrating. Seems to be going round at the moment, I've been told that the Veteran Mode on Modern Warfare 3 is really easy, too. Goldeneye Reloaded is cool and all but it cant hold a candle to the new Call of Duty. This is a shame since I loved Quantum of Solace and its Online multiplayer. I feel like the online mode of Reloaded is a step back from Quantum in game-play. The movements feel a lil awkward at times. I don't know why the developers didn't use the COD engine. Let me know if you guys have the same gripes. Don't get me wrong, it is fun and addictive but if I wasn't a Bond fan I don't think I would've played it as much. The problem is licensed games are looked down upon by game developers since they stand to make more money with an in house title (Ex:COD) since they don't have to break apart the revenue earned. They phone it in with a majority of movie related games because the profits get split with the studio. The marketing efforts for Reloaded were non existent. The two GameStops I went into didn't even have it on their shelves. It seems like it could have been a great way to sell Sony Move motion capture accessories but they def dropped the ball. They didn't even have the game displayed in the SONY Move section. Just got my last Janus emblem but no achievement when the stats came up Anyone else had this problem? Mharkin, I happen to be terrible at all modern multiplayer but I wouldn't mind giving it a go sometime. JohnRambo007 is my username. I finished the campaign last week. When I think of GE: Reloaded as another game with its own identity and not a remake of the original, I am more fine with it. I actually found it pretty cool to see some ideas and touches retained from the film and original game updated into a modern setting. Or at least how the Craig era would approach it. Little things like Bond pulling undercover waitress Xenia up on selling counterfeit vodka, opposed to the licence plates in the movie, for example. Or having the helicopter theft in Dubai. At least speaking for the Wii version, I liked how Ourumov blocked Bond's view before "shooting" 006 this time. Nice change. Added you. Although, I have a question. I was looking on your achievements and you have the Jaws achievement. Are you at level 35 already, or did you get that on a private match, as in split screen with your friends? Hey buddy. I preordered the game from GameStop and with that came a unique code to unlock the classic conflict mode from day 1. In other news, I finally beat Station-Stealth on MI6 Ops and I'm ranked 23 on the leader boards! No exaggeration: I must have played at least 100 times before I finally mastered it, Thank god someone in multiplayer combat told me that you can still snipe enemies with 4.0 health, it just takes 2 to 3 immediate and consecutive hits to the body. I'd been going around trying to takedown everyone for ages and always getting spotted at the end.. The people who have 4.0 enemy health and marksman (only headshots count) and beat the mission in 3 minutes to be ranked number 1 have to be cheating.